This symposium aims to offer postgraduate and early-career researchers the opportunity to gather in a formative space to transverse spatial, temporal, and linguistic borders and perspectives. The current situation of the disciplines beneath the epithets ‘Hispanic’ and ‘Lusophone’, studies, although positively emphasises the common linguistic patrimony of diverse territories, also upholds and reproduces the isolation of the colonised spaces and becomes an artificial obstacle for horizontal communication and collaboration. In a world where this predominantly vertical epistemological framework reinforces the hegemony of the cultural production of the centres at the expense of the cultural diversity of the peripheries and the circulation of their ideas, it is imperative to cross spatial, temporal, linguistic and epistemic borders, not only to answer old questions, but to reformulate new ones and to redefine categories. 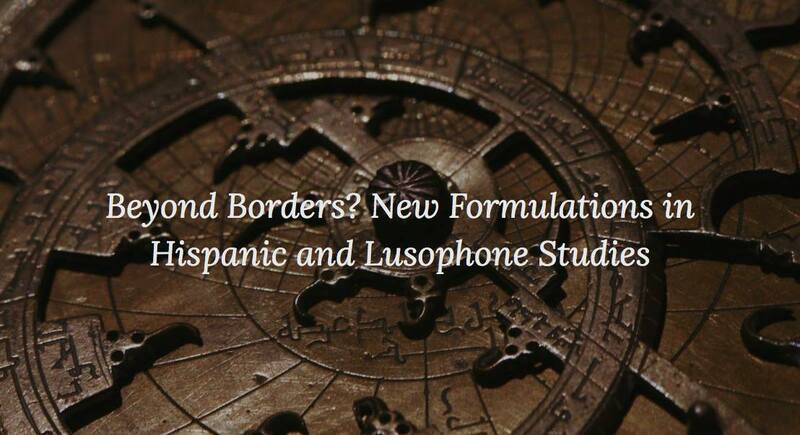 Inspired by the concept of the circum-Atlantic world as understood by Joseph Roach (1996), and extending this perspective to other border areas, this event will focus on making visible the legacy of horizontal collaborations across territories and languages in the Hispanic and Lusophone worlds and beyond. The symposium will enable exchanges with the keynote speakers Professor Janet Polasky from the University of New Hampshire, USA, and Dr Conrad James from the University of Birmingham, UK. Professor Janet Polasky is a specialist in Eighteenth-century Atlantic revolutions, and comparative, urban, and women’s history. Dr Conrad James’s research explores cultural production in terms of what it reveals concerning the significance of race thinking, the politics of movement, diaspora creativity, and the emergence of new world philosophies. Brazilian nationalism and the heroes of US emancipation: the missing sonnet of Alvarenga Peixoto. 16.30 Film screening: Viva, Irish-Cuban film directed by Paddy Breathnach and written by Mark O’Halloran. ‘A cada alma dolorida le gusta cantar sus penas’: myth, memory and the afterlives of the Gaucho.